When I started this diary, I wrote that Cape Cod would be my 20th marathon, but I forgot that I had already registered for another marathon in July. Bear Brook probably slipped my mind because I never considered it as a race. I’ve always intended it as a training run, not a run for time. But Bear Brook will actually be marathon #20. Marathons make extraordinarily convenient long training runs, even with the entry fees. There are people all along the course handing out Gatorade and other fluids so I don’t have to wear my Camelbak. At a training pace, I can look at the scenery and talk to other runners so I don’t need to carry an iPod. The courses are measured, so I can also leave the GPS at home. And, perhaps most importantly, there’s no pressure to run any particular time. 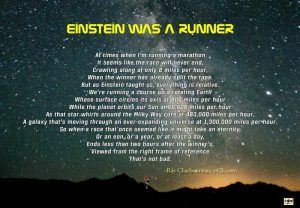 I can relax and enjoy the atmosphere and the excitement of all the other runners without getting all wound up myself. Just for fun, since this is my 20th marathon I decided to take a look back at my first 19 and rate each one “pass” or “fail”. When I did that, 9 of my marathons received a passing grade, while I gave 10 of them a “fail”. If over half of my marathons were “failures”, you might wonder why I keep running them. “Pass” and “fail” probably imply a clearer distinction than actually exists. The fact is, finishing any marathon, even a race that doesn’t go well – heck, especially a race that doesn’t go well – is an accomplishment. There’s always something positive I can take from the experience, even if it’s just a lesson learned for the next time. A rating on a 1 to 10 scale might be better, or maybe I should use weasel words like “more successful” and “less successful”. Still, using “pass” and “fail” keeps it simple, so I’ll go with them. The choice wasn’t always easy. My time enters into the rating, of course, but my main consideration is whether I was satisfied with the race after I finished. The result is totally subjective, but I run marathons because of the way it makes me feel, not because I’m likely to win anything. My subjective experience is really all that matters. I did some additional slicing of the numbers. 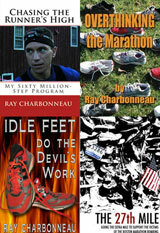 In 11 marathons I was trying for a fast time, while the other eight were only training runs, like Bear Brook. Only 3 of the 11 marathons where I was racing received a “pass”, while 6 out of 8 of the just-for-fun races were deemed successful. That’s a telling stat right there. Clearly when I take time into consideration I’m a hard marker. When I look at the main reasons I gave a race a “fail”, the most common were the weather and injuries. The weather is a critical factor in any marathon. There’s always a risk that months of training will go to waste because of bad weather. I’ve never had a day where it was too cold or stormy to run, but I’ve had four where it was just too damned hot. One of those was the infamous 2004 Boston Marathon. My 2:21 in February at the Martha’s Vineyard 20 Miler had me on track for a shot at the open Boston qualifying time of 3:10, but after training through a cold winter and cool spring I faltered in the sudden brutal heat and humidity on race day and finished in 3:46. I’ve never dropped out of a marathon, but I had four spoiled by physical problems during the race. Three times the problem was calf cramps, something that also bothers me in shorter races. 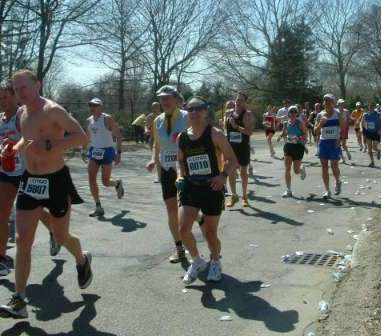 The 2004 Green Mountain Marathon was mucked up by pain in my hip joint. I was in great shape and the infamous Canadian north wind off Lake Champlain was holding off so I was cruising to an easy BQ until all of a sudden I wasn’t. Maybe jumping in the GMM only three weeks after the Vermont 50 just because I was in the area was not such a great idea. I blame the other two races that didn’t get a passing grade on being unprepared. One was my first marathon. My longest run going into the race was only 15 miles because an ITB problem interfered with my training, but I didn’t know any better so I ran anyhow and I ended up walking most of the last six miles. 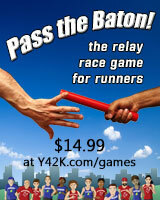 The other race where the primary issue was my training was the 1995 Baystate Marathon. It was my third marathon and I set another PR that day, but I felt curiously blah the whole time and I fell well short of my goal of a BQ. I may have been overtrained for that one. In any event, after three marathons in three years, it was almost four more years before I ran my next one. The line between passing and failing isn’t always easy to draw. I gave my first marathon a “fail”, but I was certainly happy to have finished, and I started planning the next one almost immediately. 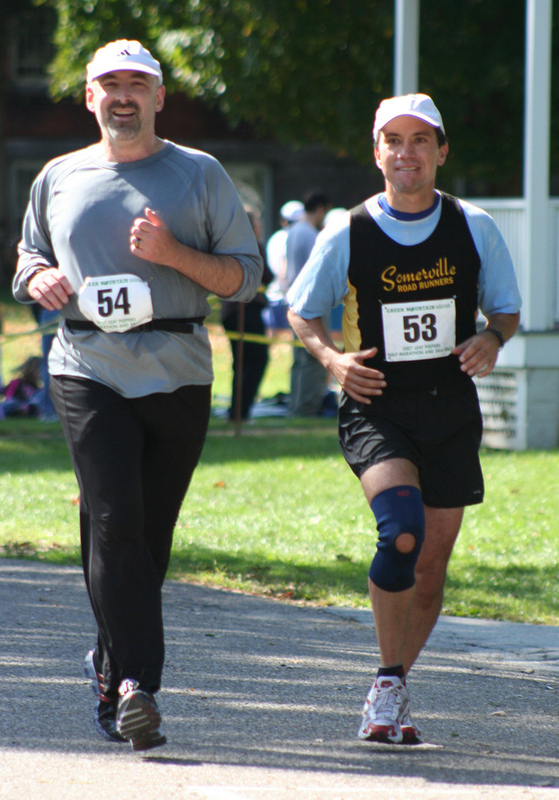 I also gave my most recent marathon, Mount Desert Island in 2011, a “fail”, even though I was satisfied with my effort and I had a lot of fun, mostly because it was yet another race marred by calf cramps. On the other hand, I gave the 2005 Nipmuck Trail Marathon a “pass”, even though my time of 5:47 was my PW (personal worst) by almost two hours and it was so hot that after I finished, I had to sit shivering in a chair for a half-hour before I dared try to move. Today was cloudy and cool, a perfect day for a midsummer marathon. Tomorrow is supposed to be sunny and warmer, but I’ll be running on trails. I’m hoping for plenty of shade and a passing grade for Bear Brook.